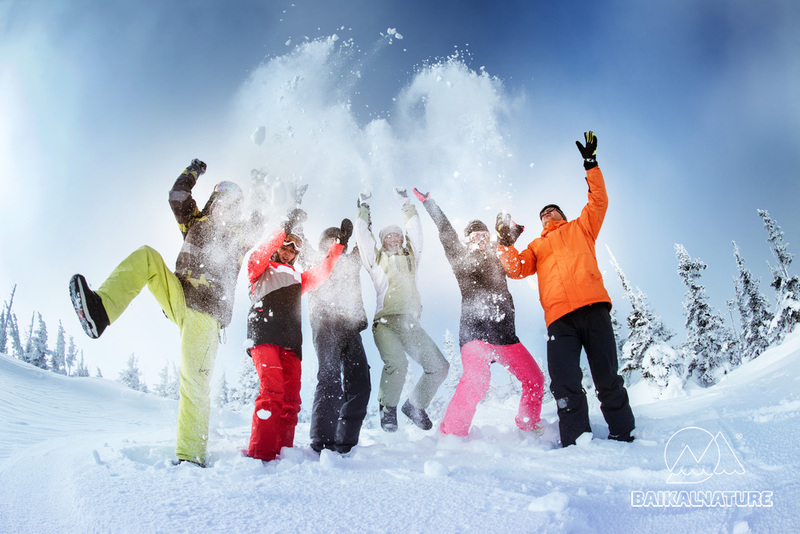 The tour "Baikal Multiactive" fits perfectly for those who appreciate active stay. 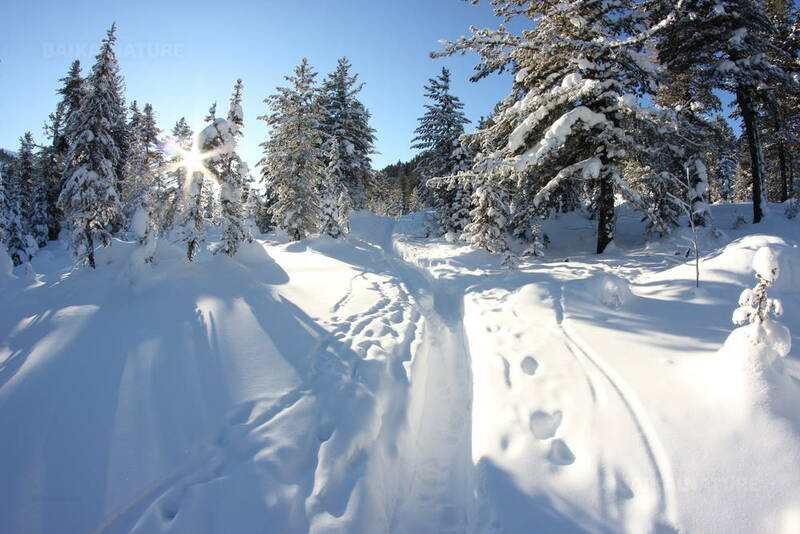 You will enjoy different winter activities: dog sledding and snowmobiling through the snow-covered taiga, Baikal crossing on hovercraft, trekking with individual pulka on the ice of the lake, Chersky rock lift, toboggan on cow skins, skiing at the best Baikal resort, trekking at the foot of the Khamar-Daban mountain. Also there will be a real Russian banya on the board of the lake. 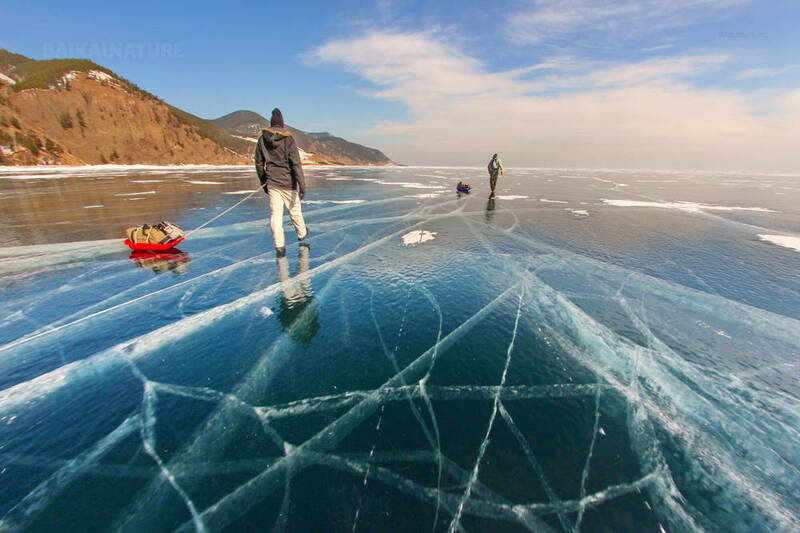 You will discover the south shore of the lake when Lake Baikal is already frozen and you can drive and walk on it. Shining ice hummocks, pure and crystal Baikal ice, frozen waves on the rocks - that what attracts amateurs of Winter Baikal. At this time days are usually sunny that produces particular colours of Baikal landscapes. Do not miss this opportunity to admire this beauty! An ideal stay to meet with family or friends! If you arrive earlier, you can have a breakfast in one of the cafés of the airport, to buy the souvenirs or to take cash. 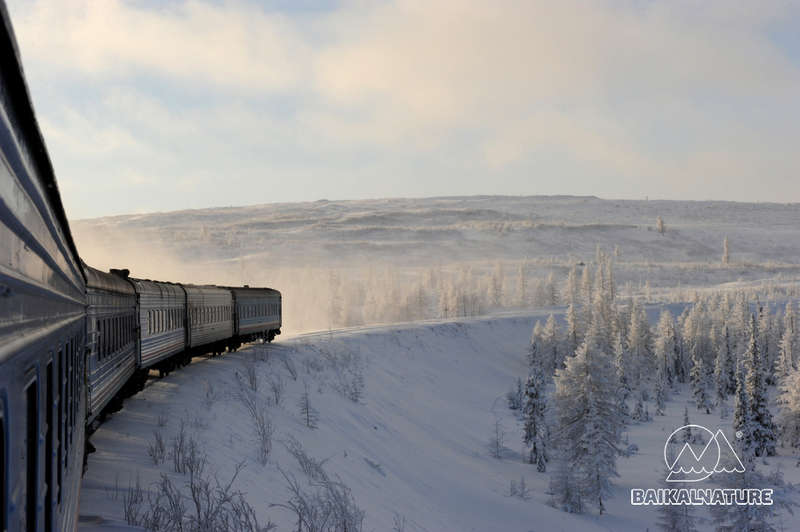 Departure on private transport to Listvyanka located at 70 km from Irkutsk (44 mi) along the Lake Baikal. Taltsy is an open-air ethnographic museum with monuments of the wooden architecture. You will get acquaintance with not only material, but also moral of the local people. You can toboggan on cow skins - national Russian ditruction. Accommodation in the cozy wooden resort. Rest. You can have a rest after the long flight or to go for a walk along the village. 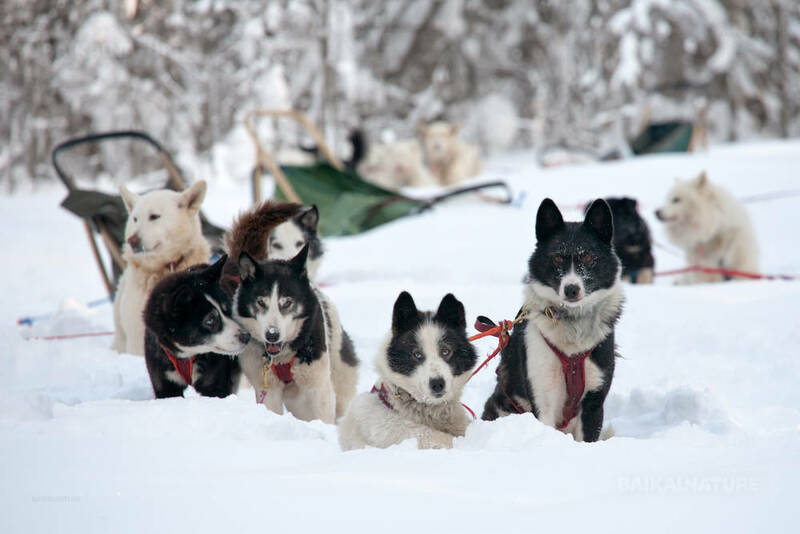 Meeting with dogs, instruction of driving a dog sled. The road passes through snow-covered taiga. You can taste the dishes of the local cuisine. Departure by snowmobiles (2 persons by snowmobile) in the Baikal taiga. After the breakfast and check-out, we will send our luggage by car the Bolshiye Koty village. Take with you what you really need: camera and lunch box. For your convenience the individual pulka (special sledge) is provided. After all needed preparations, we start our trekking on the transparent ice of the lake along one of the most beautiful coasts of the lake. You will see the snow-covered hills and discover ice-covered capes. Accommodation in the homestay situated on the board of the lake. Rest. After this active day, you can take a rest in the real Russian banya! Skreeper is separate vertical rocks made of hardened Jurassic conglomerate which represent a small stone ridge of 60-80 meters high. It divides Small and Bolshiye Koty valleys. One can see the entrance to the cave on an almost vertical part of the rock, where remains of late Stone Age people campsite were found. 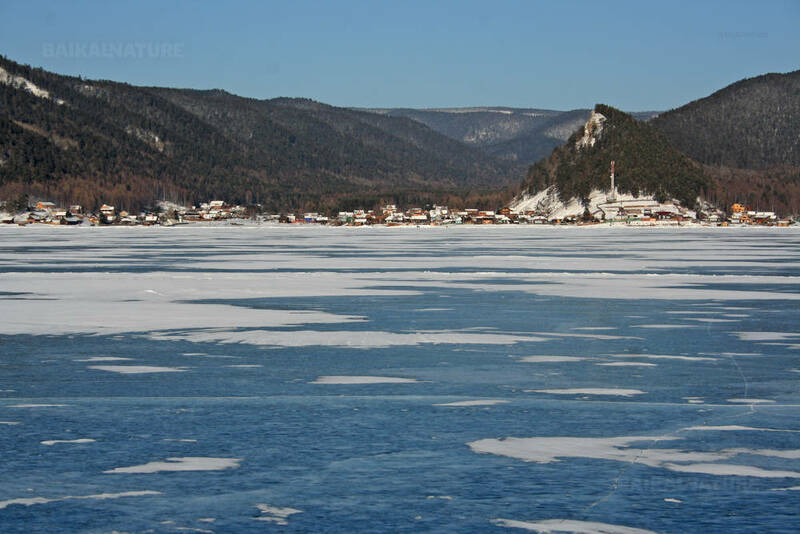 The history of the village is closely related to the history of the lake Baikal. Firstly it was the village of the gold diggers searching for the gold-bearing sands. There was a glasswork. The village saves its charm because there is an access only from the water or by the taiga trail. You will climb the hill for observing the breath-taking landscapes. If the weather is good, you will see the opposite board of the lake. We say goodbye to our hospitable proprietors and embark the hovercraft. Today we will cross lake Baikal and you will make thousands photos of the Baikal ice in all its forms ! Accommodation in the hotel. Brief rest before the lunch. Vydrino is a village situated in the picturesque valley of the river Snejnaya (Snowy) at the food of the majestic chain Khamar-Daban. We will go for a trekking to Warm lakes. Warm lakes: the Emerald (Izumrudnoye), the Dead (Mertvoye) and the Fairy tale (Skazka) are situated at a walking distance but every one has its own coast and chemical composition. It's a place with a unique microclimate. There are the black poplars - the old-growth trees more then 300 years old. There should be several persons for embracing its trunk. The dinner with the guitar and songs. You guide will tell you about the peculiarities of the life in the region and will answer all your questions. After check-out, departure to the town of Baykalsk. 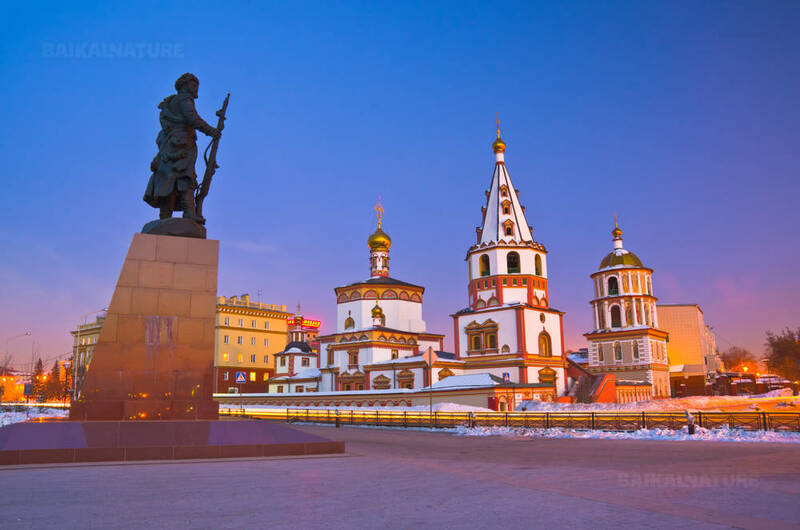 This town is well-known by one of the best Russian skiing resorts - Sobolinaya Mountain (Zibeline mountain). This ski resort is attractive for the people all over the world. The ski season here is from November till the May and there are the ski trails for beginners and skilled skiers and snowboarder. Moreover, there are the breathtaking views and fresh air ! Your hotel is situated at the foot of the Sobolinaya Mountain. There is a rent of all necessary equipment, the Mountain Instructors can provide the ski lessons for the beginners. Even if you you want to to have a calm day, you can enjoy the Russian banya and delicious cuisine of the local restaurant. Embarkation on the train (2 class, 4 persons in the compartment) and departure to Irkutsk. Guaranteed departure from 5 participants. The price includes breakfast on Day 2-8, lunch on Day 3-5 and dinner on Day 3-5. Banya is included on Day 3-4. Rent of outer clothing (jacket, pants, valenki (felt boots), balaclava and mittens) 6 000 roubles (subject to availability). Single supplement for overnights Day 1-2, 6-7: 7 800 RUB. The price of the tour includes travel health insurance for persons under 65 years.